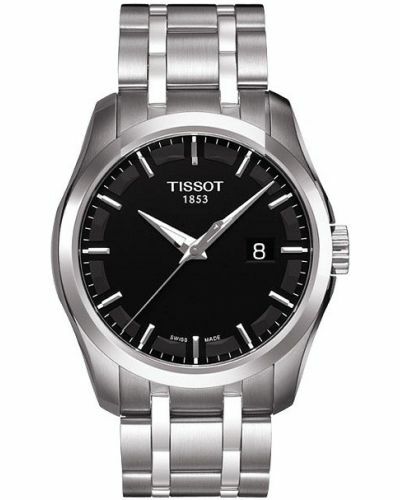 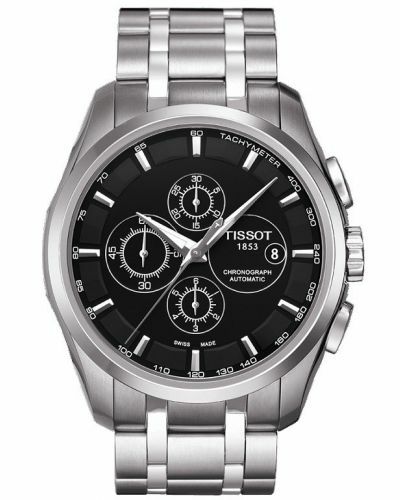 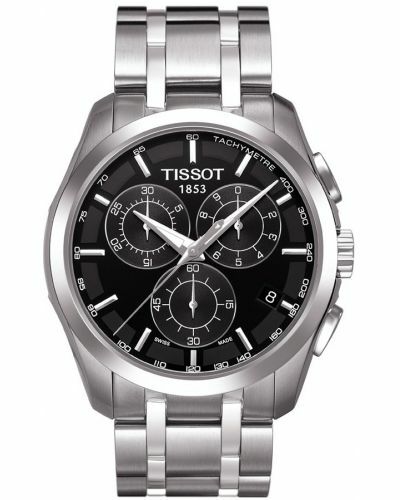 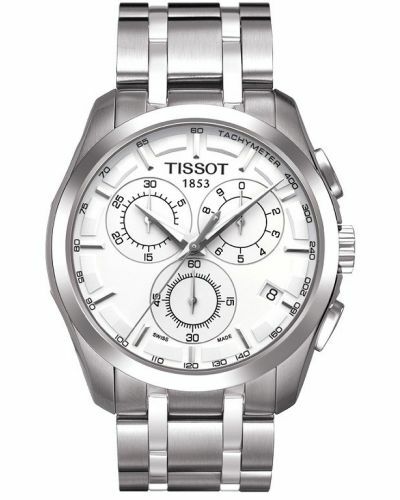 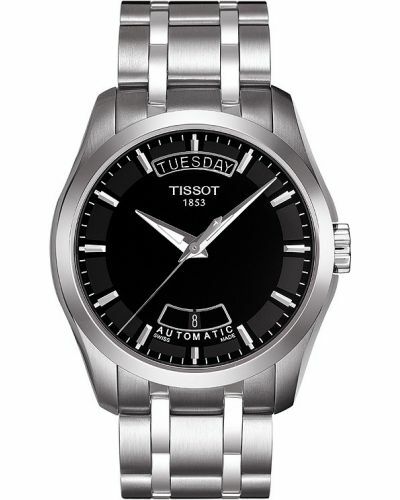 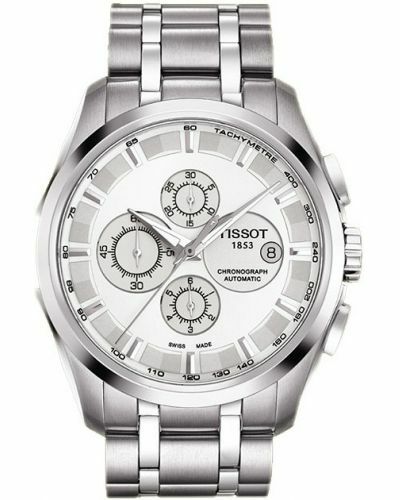 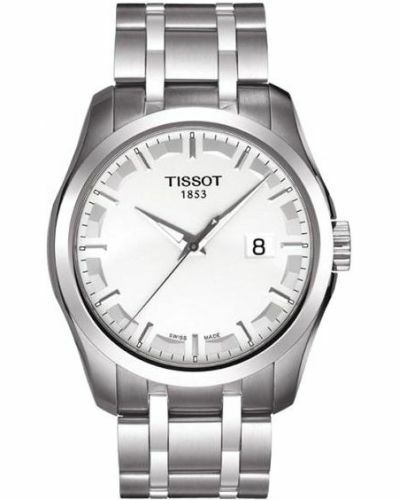 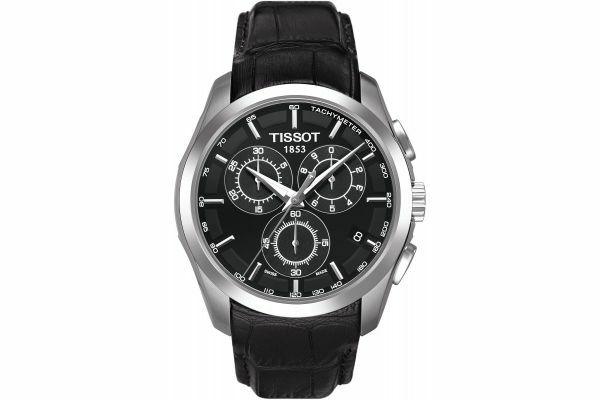 A large, clear dialled watch which encompasses a Swiss quartz movement that provides both accuracy and reliability. 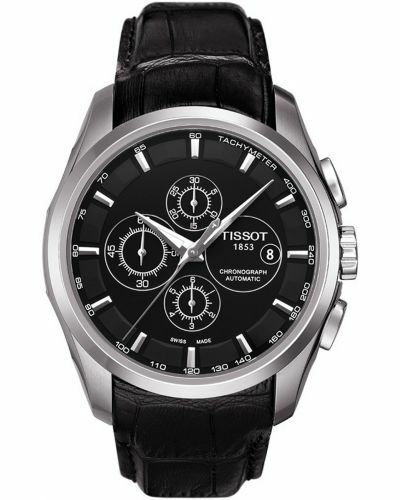 The dial is filled with baton markers, large triangular hands and double rimmed chronograph sub dials. 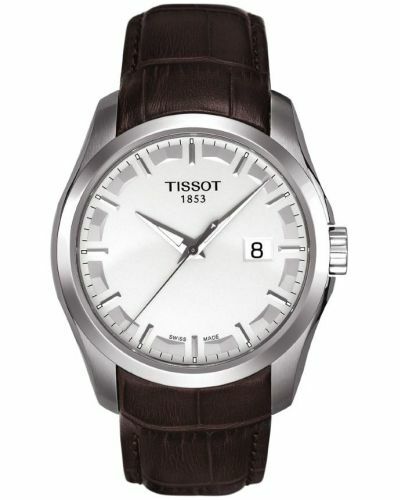 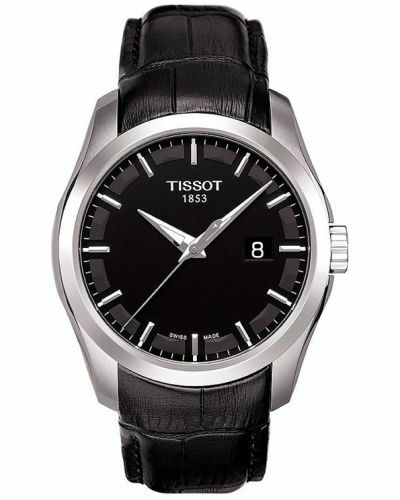 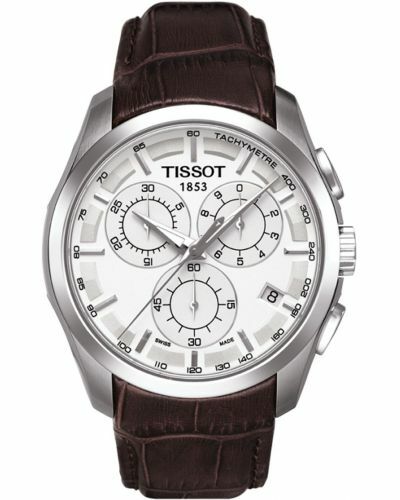 The thick leather strap completes the look as it sits snugly against the dial case.